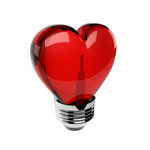 Love and relationship quizzes -» In Love? -» Is he the one? Love Tests / relationship quizzes -» Is he the one? Is he your Meant To Be? Ever wonder if he is the one? If you'll last forever? Well, click here to find your answer! Do you feel like your man only cares about certain things and doesn't really have much time for you? Well take this quiz and find out if he really is right for you. Is He Right For You? Is It Going To Work? Are you having second thoughts on whether or not he'd be good for you? or how about if the relationship will even last! Well take the quiz and find out. Is your partner ‘the one’? Are you two meant to be together? Does he Suit You Well? Is your boyfriend right for you?